Faced by a global ecological crisis, the economist Pavan Sukhdev has finally had enough. His mission? To translate nature’s value into cold hard cash. According to Karl Polanyi, economists are not to be trusted. They are the reason we’re in this ecological crisis to begin with. The Club of Rome became a club of bankers who purposefully remodeled the definition of economics to destroy the idea of ecology. Sound familiar? That’s probably because Trump’s entire vision for the future is organized on the outright denial of any ecological limits on the economy. Against this backdrop, what can Nature possibly gain from economics? 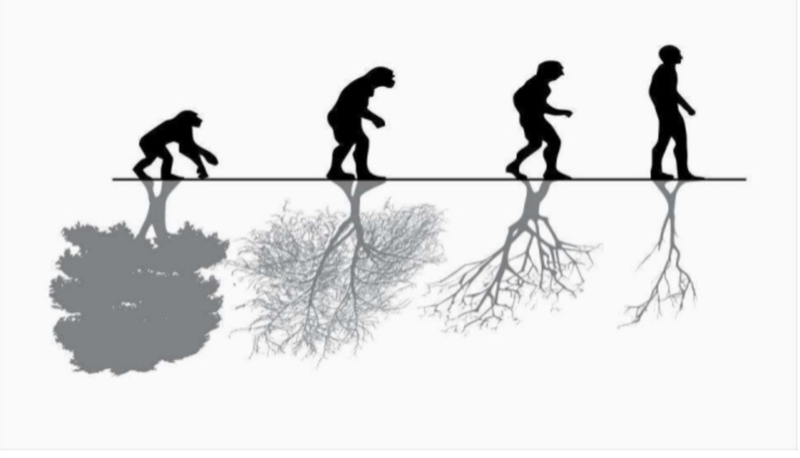 As economics developed into a ‘secular religion’ and began embracing the notion of infinite growth (based on infinite natural resources), the priests of this religion converted our species into homo economicus. We know that today the Earth system is challenging this conception of the economy: for too long we have dissociated wealth from the material reality which produces this wealth, namely, nature. We are finally — albeit too slowly — beginning to accept that resources are finite. But this new reality still has our hands tied. The economist Pavan Sukhdev thinks there is. His groundbreaking work on the importance of recognizing “natural capital” earned him a reputation as “nature’s banker”. The basic idea is to put a quantitative value on natural conservation. This means putting a price on those natural resources that enable economic growth, particularly in developing countries, and to include this quantitative value as a price in the production chain of commodities. This means that rainfall and wind become classified in economic terms, taking into account their quantitative and qualitative aspects, such as the added value they bring to the local community, both in economic terms — for instance by calculating the value of mangroves in enabling shrimp farms in Indonesia — as well as in terms of social cost, by caculating the losses incurred by deforestation and mudslides, which destroy the livelihood of millions. To name another good example: the Northeastern trade winds are like a rainfall “factory” operating over the Amazon. This rainfall facilitates an agricultural economy worth $240 billion. But how much are governments and companies paying for this “service”? The fascinating thing about Sukhdev’s project is the bridge it builds between two seemingly antagonistic worlds: that of the (human) economy and that of nature, a relationship where exploitation of the latter leads to growth of the former. In Sukhdev’s economic model, natural climate phenomena gain agency: for instance, the knowledge of a local community that leads to the discovery of a new medicine is not valued — they do not get paid after the medicine gets developed. In Sukhdev’s model, large companies begin calculating the environmental cost of their production, acknowledging natural capital and measuring their impact on the natural and social environments involved in their production chains. This way, with full transparency and disclosure, we can begin tackling the issue. Policymakers can install economic (dis)incentives and redistribute wealth through taxation and subsidies. This is Sukhdev’s vision of saving the Earth’s climate. By advocating the recognition of public capital — public natural resources — and, simply stated, putting a price tag on them, Sukdhev is in a way speaking on behalf of those non-human entities whose value is currently being taken for granted. In a world where resource depletion is a real threat to our existence, Sukhdev’s model may well contain a powerful antidote to the anthropocentric growth model that, for decades and decades, has built its bastions of capitalist growth on the “ecological infrastructure” of the Earth. It might be high time to include that infrastructure in the economy’s production model.